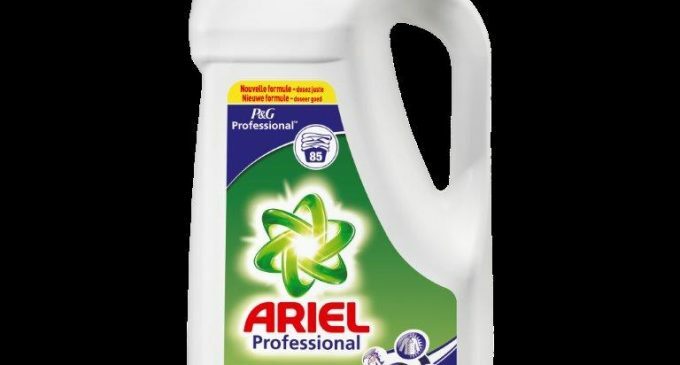 With recent research demonstrating that cleanliness has a strong impact on a business’s overall rating, P&G Professional have announced the launch of a new formula for its Ariel Professional product. Specially tailored to help hospitality businesses, the new formula coincides with the findings of joint research by Trivago and the away-from-home division of Procter & Gamble. With nearly four fifths (78%) of guests expecting an ‘above average’ level of cleanliness according to Trivago’s quality test, the research reveals that 45% of independent operators believe clean linen has a significant effect on guest satisfaction and retention. The unique technologies in Ariel’s new professional formula – including a boosted enzyme system – act in synergy to ensure the removal of tough marks by breaking stains into smaller pieces which then dissolve more easily. Meanwhile, the product’s unique polymers drill into stains and the multi-surfactants system then dissolves and rinses the stains away. For more information about P&G Professional, visit www.pgpro.co.uk. For further stain-busting tips, visit www.pgpro.co.uk/Academy.